What if your longings and desires were the voice of your soul, calling you to reunite with its unique riches and the pool of universal abundance it is connected to? What if your yearnings and urges were actually your soul’s own personal GPS, guiding and navigating you towards your life purpose and fulfillment? Everyone has a Soul-Essence, which inherently holds the resources needed to manifest a meaningful and prosperous life. Soul Radiance shows, step by step, how to take this journey to the Soul-Essence and retrieve the treasures that are yours. Using a guided meditation at the end of this book you will travel to this sacred place. With each journey, an exquisitely magical, love-filled, and deeply satisfying resource floods in, bringing exactly what is needed to embody what your heart and Soul long to experience. Your soul loves to take you where you long to be. It has everything you could ever imagine within its reach. So isn’t it wise, practical and empowering to get in touch with the gifts of your soul? Come alive to the power and passion of your magnificent Self. 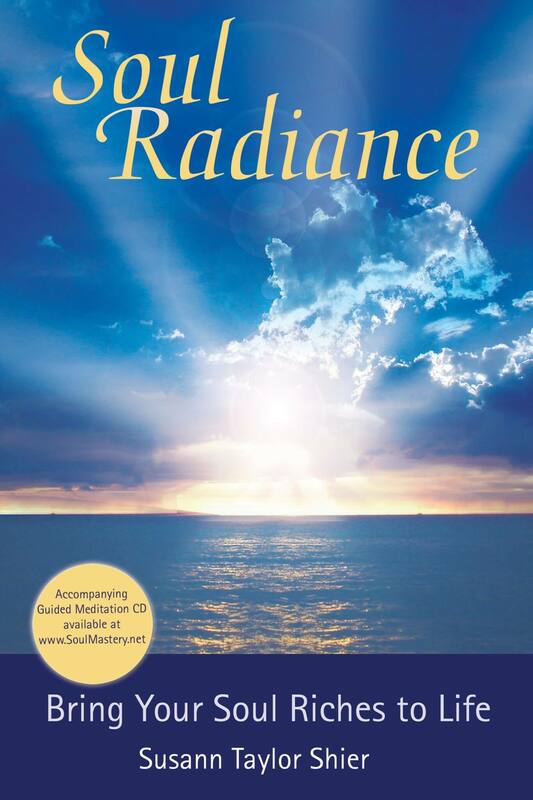 Soul Radiance, Bring Your Soul Riches to Life is born of fifteen years of successfully assisting thousands of people to connect with their Soul-Essence and transform their lives. 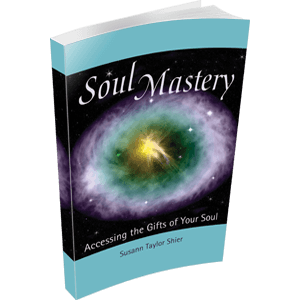 It is an ongoing evolution of the material explored in Susann’s first book, Soul Mastery: Accessing the Gifts of Your Soul. Included in Soul Radiance are twenty sessions that describe individuals’ personal experience of taking a journey to the Soul-Essence and discovering how that transforms their life very directly and potently. Topics focus on money, health, relationship, purpose, life transitions and the body. This book will give sacred meaning to your everyday life, so you can step into your world with confident radiance and be in love with life itself. If you’re moved by what Soul Radiance – Bring Your Soul Riches to Life brings to you, be sure to check out these complimentary books of the trilogy! : Soul Mastery: Access the Gifts of Your Soul and Soul Reunion: The Return Home from Separation. Bring Your Soul Riches to Life. Softcover. 234 pages. Bring Your Soul Riches to Life. PDF, 172 pages (instant download). A Guided Journey to Your Soul Essence. MP3 Instant Download. Special package price when you purchase these popular items together!